Written by Cavan Scott (Vikings) with art by Cris Bolson. 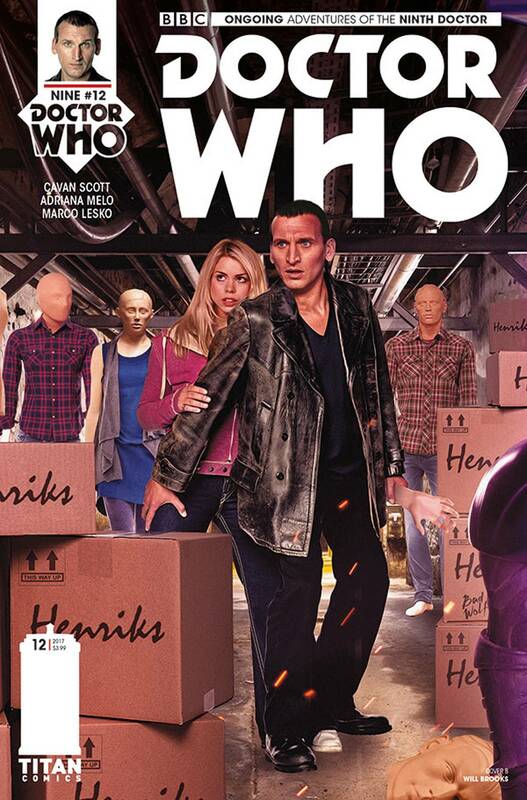 New adventures of the ninth Doctor as played by Christopher Eccleston! Cover B part of four connecting Doctor Who covers with Tenth Doctor #3.3, Eleventh Doctor #3.5 & Twelfth Doctor #3.2.